Within seconds of the comment being rendered Love & Hip Hop Atlanta’s reunion got out of control rather quickly. Part two of the reunion show aired on September 1 revealing what had been rumored for months surrounding the physical fight which took place between several cast members. Joseline and Stevie physically attacked Althea and Benzino as Sommore, the host for the evening, and uninvolved parties hurried to get out of the way. Cast mate Tammy Rivera thought she had gotten out of harm’s way when suddenly Joseline came around the corner and attacked her as well. The fight continued as Joseline attempted to snag MiMi Faust in the stairwell after security had successfully removed her from the set. After the fight, Althea filed a lawsuit against Joseline because she attacked her. The lawsuit also accused the “Puerto Rican Princess” of being high on crack when she started the altercation. Although Joseline threw the first punch, it seems the producers have sided against Benzino and his fiancée by releasing them from the reality show. Reportedly the couple was fired by the producers of the series after being blamed for the horrific fight. Benzino, who has been on the show for three seasons, said, “That is absurd.” He and his fiancée believe they have been made scapegoats for the violent outbreak which “security” failed to control. Anyone who saw the fight break-out knows this is not the case, Joseline was without question the aggressor. However, with Joseline being the catalyst for most of the drama rendered on the show many doubt that Mona Scott-Young would be eager to release her from the series. If y’all think that it is fair to bring them back but not us, then let @MonaScottYoung #lhhatl & @VH1 know….. D**n! Me and BaeBae were ready to come back after giving an amazing season 3 which broke all @VH1 records, we were gonna get married season 4 After having a zillion failed “ENGAGEMENTS” and “FAKE MARRIAGES” they would finally want a REAL WEDDING….guess not…When somebody gets a real explanation on why we was fired, please let me know. Another source said the reason Benzino was fired is because he talks too much and to the wrong people. Supposedly, the Source Magazine owner accused Mona of being involved in the set up along with Joseline and Stevie, suggesting the producer told them to jump on him and Althea for the sake of ratings. After the brawl occurred Benzino allegedly said he saw Mona, Joseline and Stevie J together, laughing and taking pictures. Some viewers have complained that the drama has gone too far this season and they are finished with the show. Others have said the show will not suffer due to the absence of Benzino and Althea, claiming they did not bring much to the season anyway. Instead, he has been deemed a hopeless romantic who falls in love way too fast. Truth is each cast member has their own following so there will undoubtedly be fans that believe the series will lack some substance without Benzino’s presence. Again, the cause of the couple’s release is speculation because the producers of the show have yet to publicly clarify their reasons for giving the couple the boot. 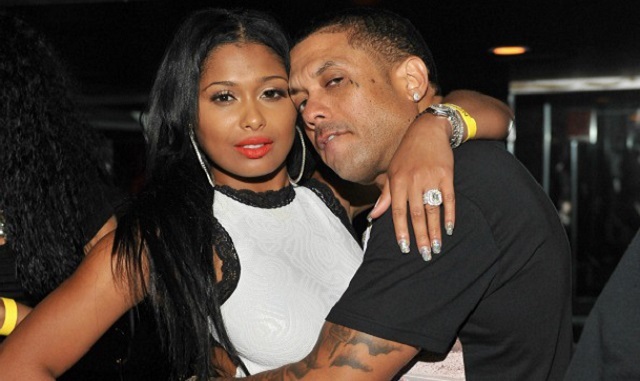 What has been confirmed is Benzino and his fiancée Althea were fired from VH1’s Love & Hip Hop Atlanta following the brawl between cast mates Joseline Hernandez and Althea Eaton.